Clean Cab is taxi company servicing Bryan Tx, College Station Tx, and Texas A&M University. This is our page where we post updates and info about our website,, social media, daily life, opinions, and our city. Created so we can document our online progress, and in the future reflect back on our stages of growth. More than likely not much here that would interest the general public, but we made it public anyway. Better viewed on desktop. Our newest Blogspot post July 18th. 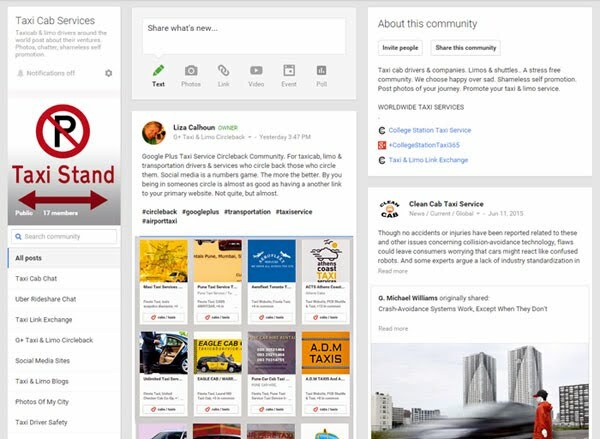 We added 7 new Google Plus Collections on our Google Plus Taxi Business Page. If you are not familiar with collections it is a way to organize your Gplus post using categories. To give you an example a few of ours are Texas A&M University, College Station Texas and College Station Taxi. The taxi collection is for all of the post about our biz. It's obvious what the previous two are about. A new blog post on our tumblr blog about Grand Station Bowling Lanes and Game Arcade in College Station Tx. 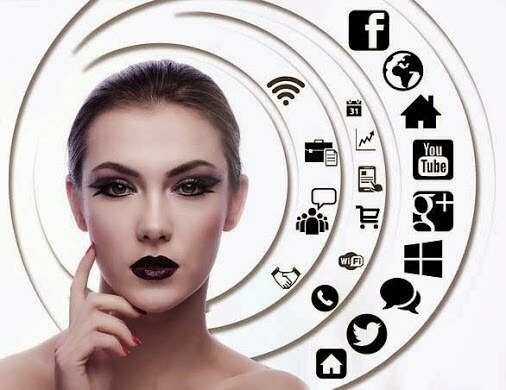 Clean Cab taxi website and social media recent updates. Quite a few updates in our primary website. Restructured the main index.html page for SEO and speed purposes to load faster on desktop, and more so on mobile. Ran CSS files through a CSS compressor, as well as reducing the image sizes. We added a new blog post about a blues shop we briefly visited when we had a drop-off in Navasota Tx. It is the Blues Alley Shop and Museum. It is a fun little shop with vintage, musical instruments, memorabilia and other goodies. You can see it among other blog post in our Texas Taxi Blog. Updated the College Station to Austin Airport page. Changed the taxi price rates, and added Greyhound Bus departure times from College Station to Houston and Austin. In case you think the timing and prices are good and you decide to take the bus instead. We will gladly drive you to the bus station in Downtown Bryan Tx. Added some new blog post to our Tumblr Taxi Blog. Numerous updates and post on our Google Plus Taxi Business page. Added 5 new photos and 6 or 7 new post. Also edited our business information. Added 3 new pins to our Pinterest page. You can also visit our Twitter account at @TexasTaxiCab to see whats new. Taxi Drivers? Taxi cab company? In the limo business? Come join our Google Plus Taxi Cab Community. It's another way for you to promote your taxi service. The community has numerous categories for you to post in. Add photos of your travels around your city. Not only promote yourself, but your local community also. A partial list of the categories are posted below the image. Don't Forget!!! In Google Communities you can turn off notifications and post to your page or profile. Some people don't like the post to show up in both places. You have complete control in your preference settings in the community. Here are some of the categories in the community.There are others. 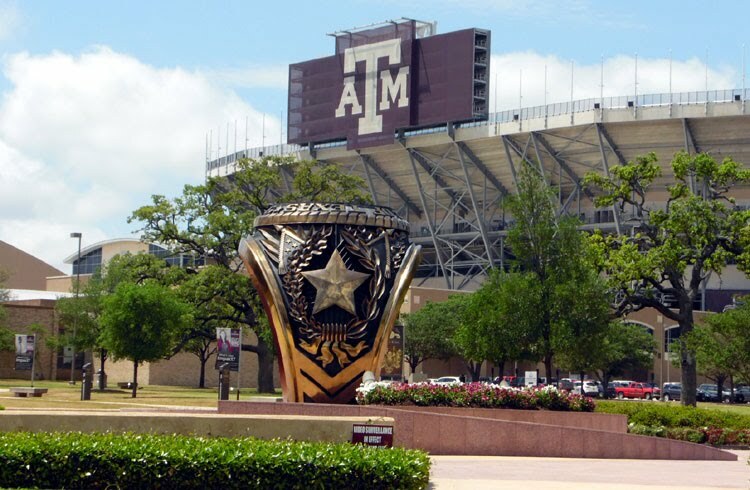 We drive all over College Station, Bryan, and Texas A&M University campus. In turn we always have a camera by our side and take photos. We started a College Station Public Domain Photos blog at collegestationphotos.blogspot.com for people to use them in blogs, articles, print etc.. No restrictions at all. Use them or any purpose including commercial. I think we are going to start a new Google Plus page to compliment our Clean Cab G+ Business Page and abandon the bog. The blospot layout in mobile is not very user friendly at all for our needs. Looks great on desktop, but not mobile. We want it to be easy as possible for people to find the photos. I feel Google Plus will be easier. In G+ you can also go directly to the photo page. Pick and choose. The photo below is from a set we have. Two more in the blog link above from the same set. Different angle, ring size... We submit the photo below to the public domain. It simply means you are the new owner of the photograph if you need it. No restrictions whatsoever. Any purpose your heart desires. Our gift to you. We will be adding all public domain photos to our Tumblr Taxi blog. We have too much going on to update two blogs. Rather combine it all in one. Visit Tumblr hashtag #bcspd It's short for Bryan College Station Public Domain.